LMC Corporation is a registered First Responder with the Federal Emergency Management Agency (FEMA). In the event of a natural disaster, LMC personnel are permitted to pass FEMA checkpoints and barricades to provide construction support and disaster relief. LMC has been heavily involved with the Houston area Hurricane Harvey reconstruction effort and has been tasked to repair local schools, parks and community facilities across southeast Texas. 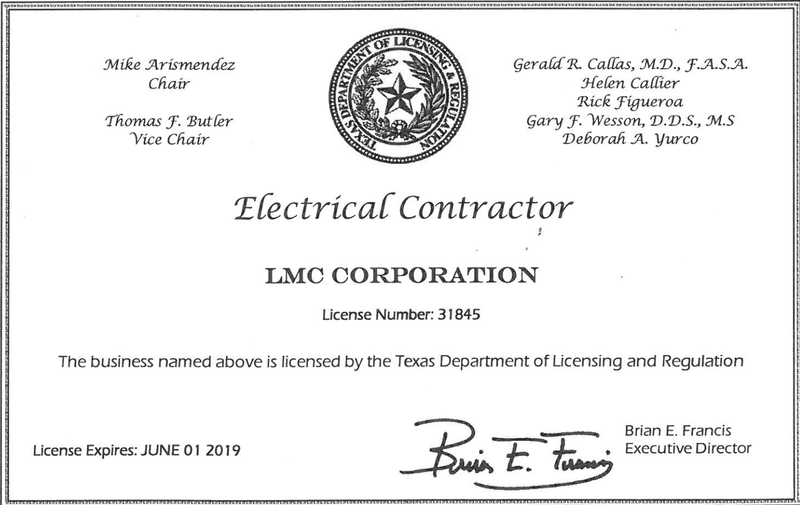 Along with LMC’s federal First Responder certification, LMC is a licensed electrical contractor in the state of Texas and provides emergency electrical services to public organizations across the state. LMC staff if available 24/7 to our JOC clients and we can typically have personnel on the ground within hours of an emergency call. LMC prides itself in its self-performance as a JOC provider and unlike our competitors, LMC has the staff available to directly address any emergency issues that our clients may have.